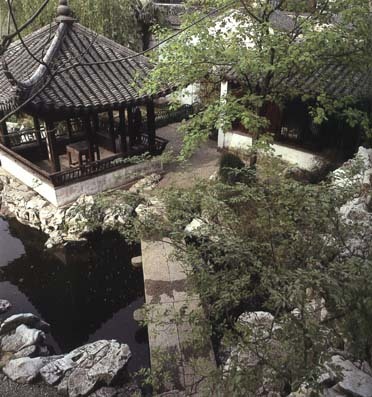 The Garden of Cultivation is a small scale garden with artistic characteristics of the Ming dynasty. The entire garden's layout is plain and open, with a natural and simple style; not overly elaborate and affected. 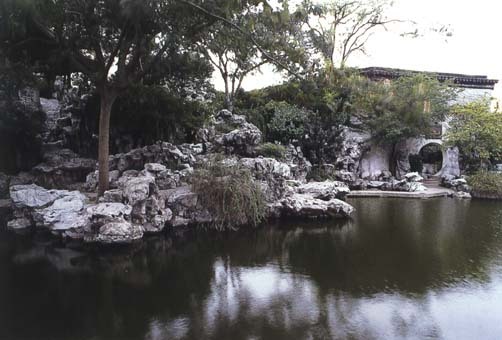 Its artistic value is much higher than Later Qing gardens. The layout of mountains and waters, pavilions, terraces and buildings, as well as the detailed arrangement of a single rock and a single tree express simple, unsophisticated and elegant attributes. A method of condensation is used to express the garden construction's basic theory and concepts. 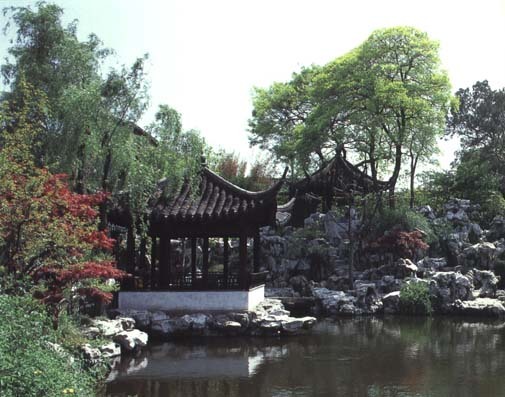 The Garden of Cultivation started to be built during the Ming dynasty, and was called Yaopu to start with. 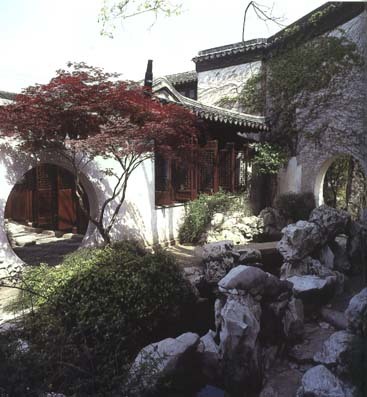 During Early Qing the name was changed to the Garden of Cultivation; it was also named "Jingting Mountain Cottage". The garden's entire area comprises 0.33 hectare, with residence occupying more than half. The garden part occupies only 0.13 hectare. The garden's arrangement is open and simple; buildings, ponds and mountain trees are laid out from north to south successively. 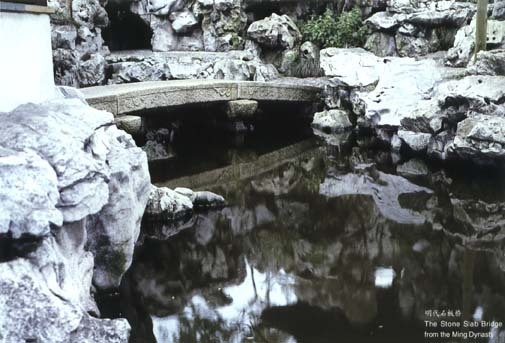 This is the most basic method of arrangement of a Suzhou garden. In the south-western corner there are some small courtyards comprising secondary views; these give the feeling of arriving at a very calm and joyful place. In accordance with the characteristics of a small garden, its builders do not try to attend to each and every aspect; thus some nonessential details are lost. 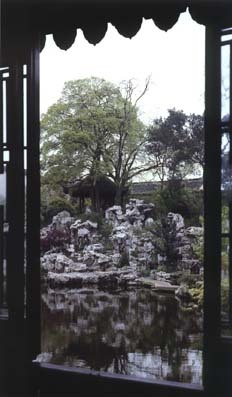 All effort are used to create one artistic garden view; with hills shrouded in mist, with waves stretching far into the distance, with trees, springs and deep pools, with lofty pavilions and terraces. This garden uses all this to obtain a result of containing a 157 thousand seas and giving forth the brilliance of four seasons. The pond in the middle of the garden occupies one fourth of the total area. It features "mountain scenery" to the south of the pond and buildings to the north. The pond has a roughly rectangular shape with coves at the southeast and southwest corners, which are spanned by low, flat and small bridges. On the east and west banks of the pond are roofed and open-sided galleries, pavilions, rocks and trees, serving transitionally as a foil to the northern and southern scenes. 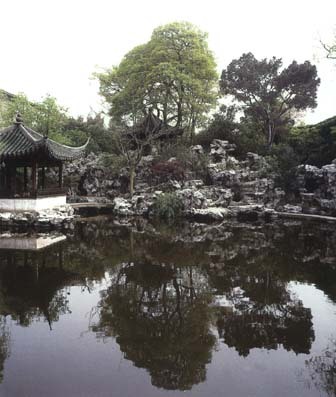 At the southeast corner of the pond is the Fry Pavilion that dates from the Ming Dynasty. 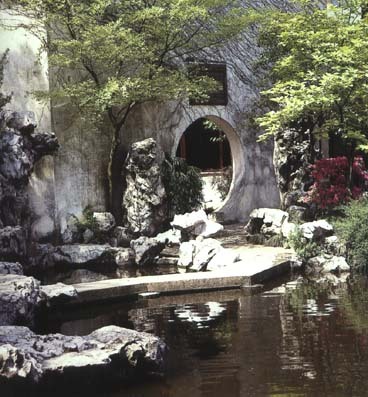 A moon gate in the wall that borders the pond and the mountains leads to a small garden court on the southwest. 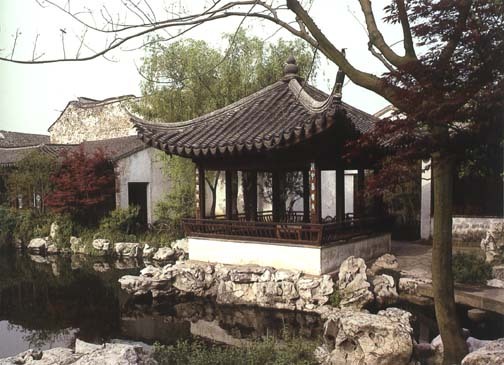 The 6-pillar-wide Water Pavilion of Longevity lies to the north of the pond, overlooking the broad expanse of water, and is the biggest water pavilion at Suzhou. To the north of the water pavilion is the 6-pillar-wide Hall of Erudition and Elegance in the style of the Ming. 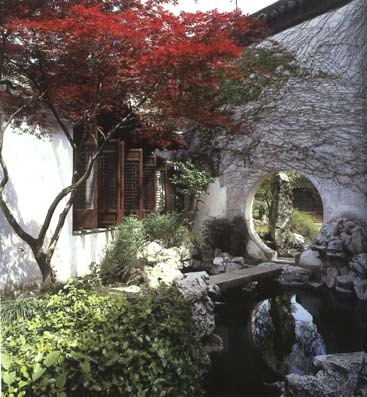 The Garden of Cultivation, simple, rustic and natural, still keeps much of the layout, design principles and other characteristics of the Ming garden. It has 13 buildings, 17 tablets and parallel couplets, 8 steles and stone carvings, pinus bungeana Zucc, podocarpus macrophyllus D.Don, and other valuable old trees.